Happy to be admired, but with gaze ever ready to escape. What a blessing that he crossed my path. See his eye, a jewel, a coat so blue, his crown of feathered hearts. See him turned away, full of grace; now watch the Lord of Dance. literally minutes later a beautiful male crosses out path, and stops very close, by my door. I was about a meter away. We shared a minute, watched each other, and then carried on our separate journeys. Captured in the jungles of the Western Ghats, Tamil Nadu, India. Images and words copyright James Dee Clayton and Diary of an Aesthete respectively. Read more about author, James Dee Clayton, here. 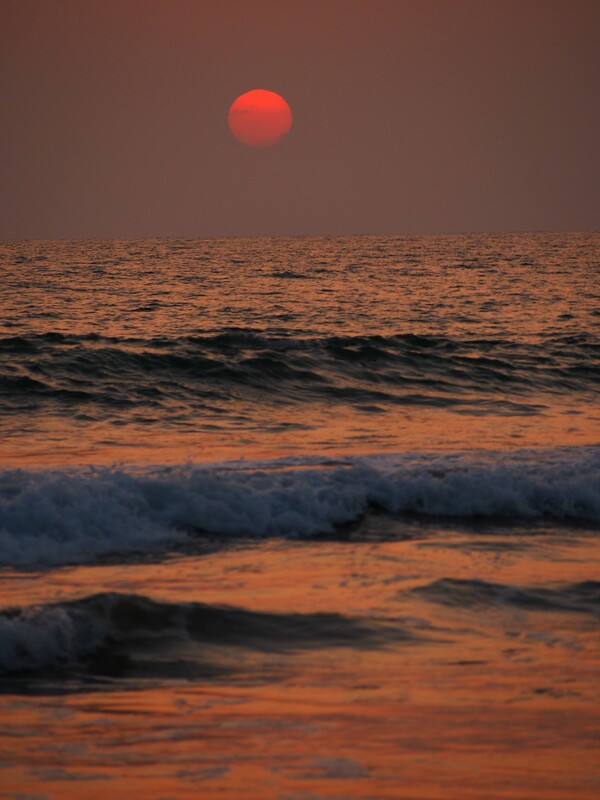 …See India’s Red Sun Rising here. Whoop which means future picture jewels!! Much love from holland! 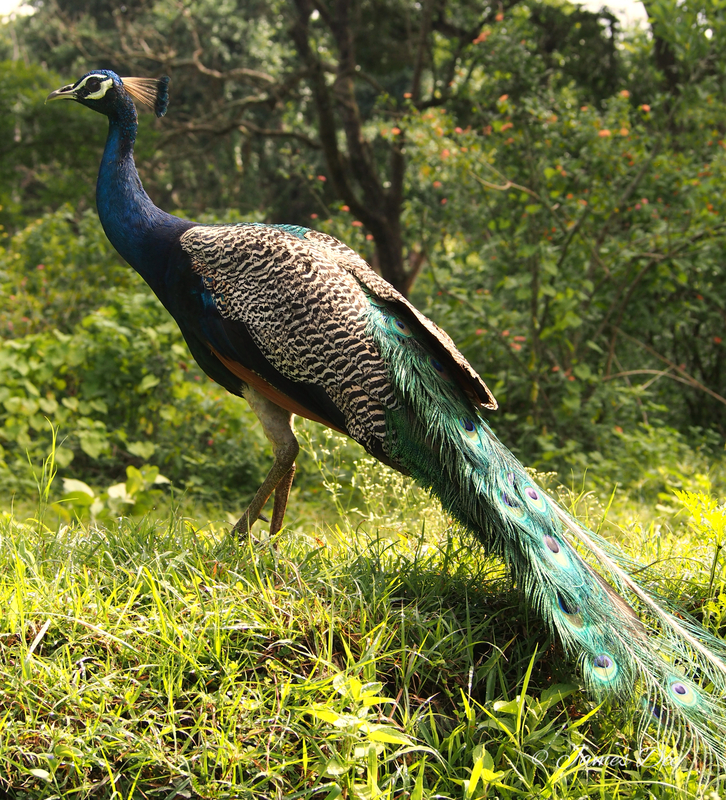 What a defining moment…to come face to face with the peacock! Your encounter with it was beautifully told! 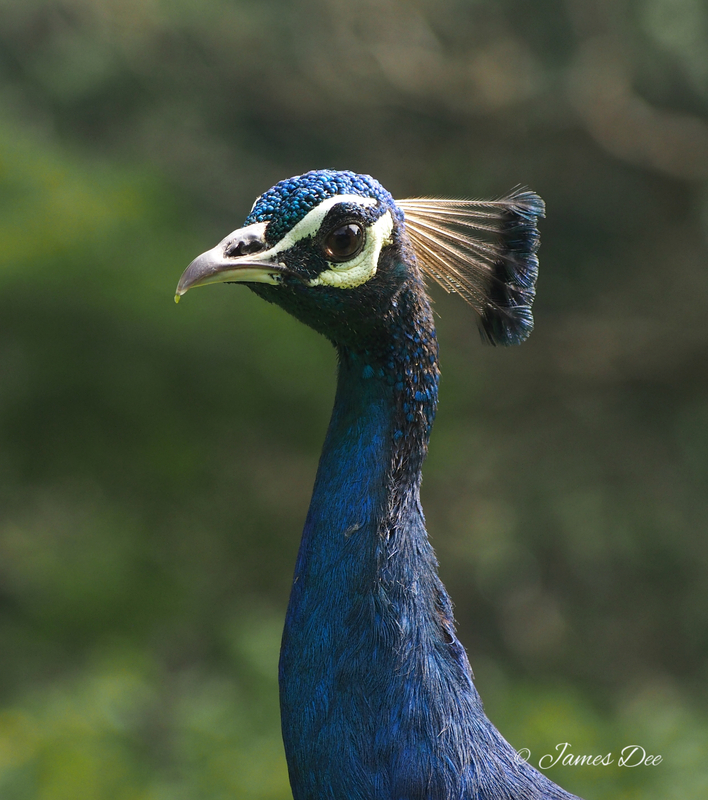 His gaze is perfectly penetrating, his blue so striking… Amazing that nature can provide such beauties as these. Great photos as ever! Thank you! It really is just incredible, isn’t it? Such vibrant colours. He was so casual yet purposeful as he moved. A prince, no less. Lord of the dance. Lovely imagery!… A beautiful bird given rebirth through your beautiful words. Neither did I! Apparently they eat almost nothing BUT snakes. I saw a couple hunting on another safari – zooming around under the trees. So quick, bold.